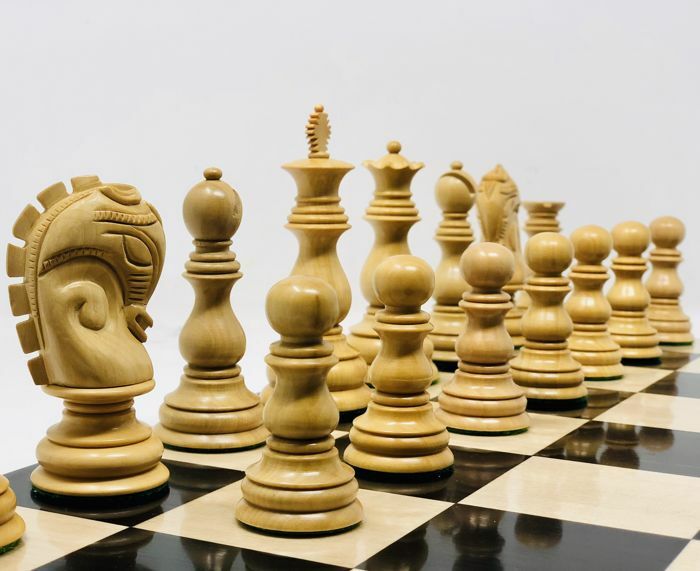 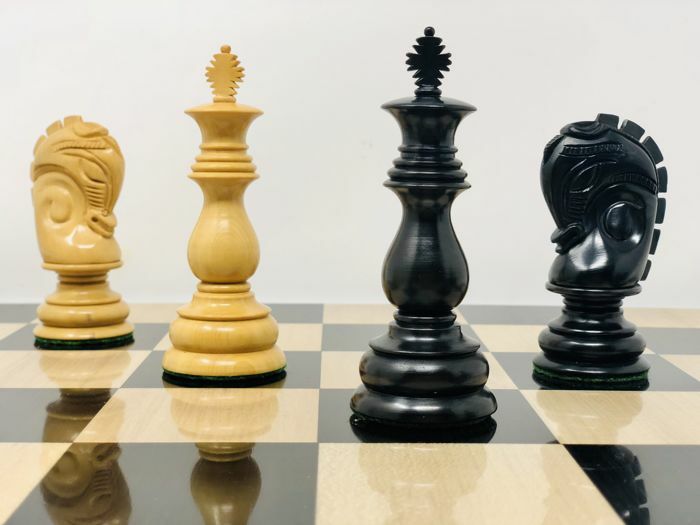 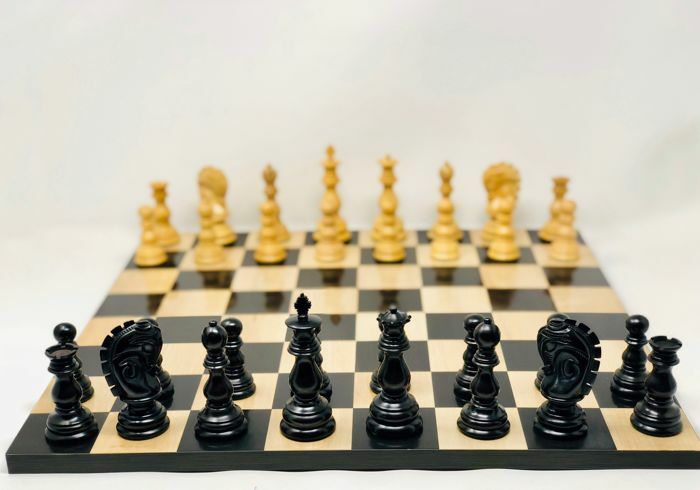 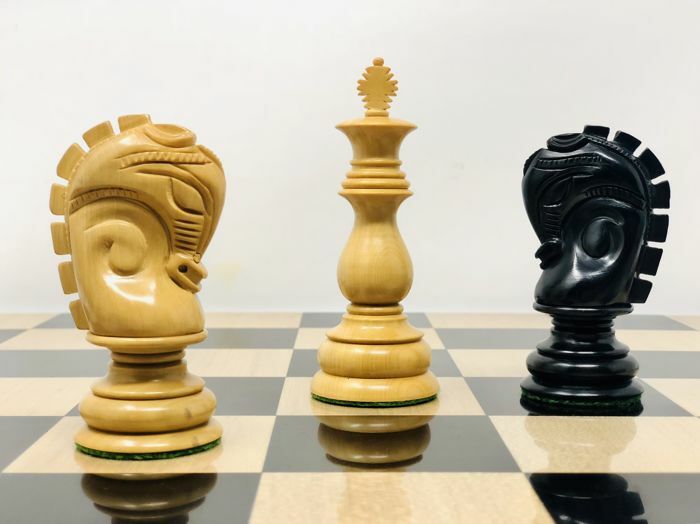 This chess pieces have been hand carved by master craftsmen using the highest standards of quality. 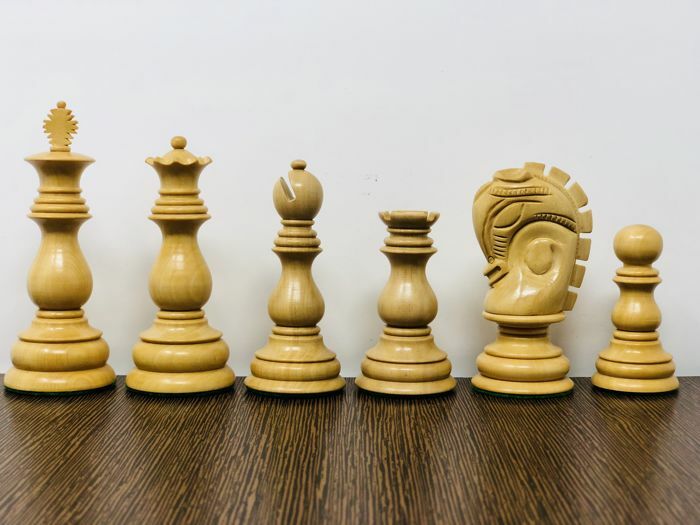 The design, quality and craftsmanship of this set is incomparable with any other chess set. 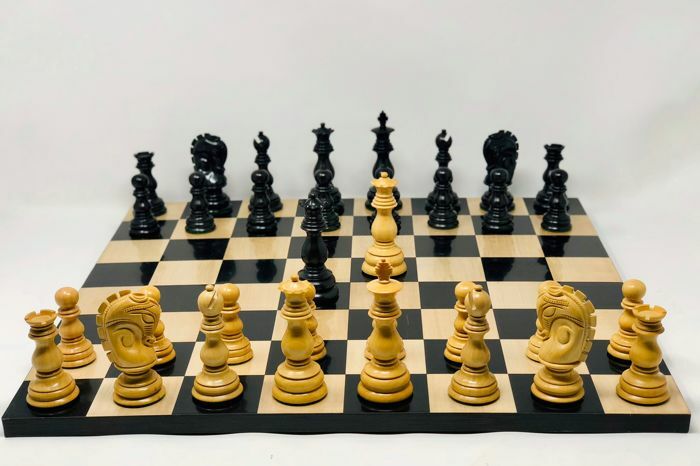 The chess pieces are supported by a base of green fabric for all pieces, for greater protection of the board and sliding of the pieces. 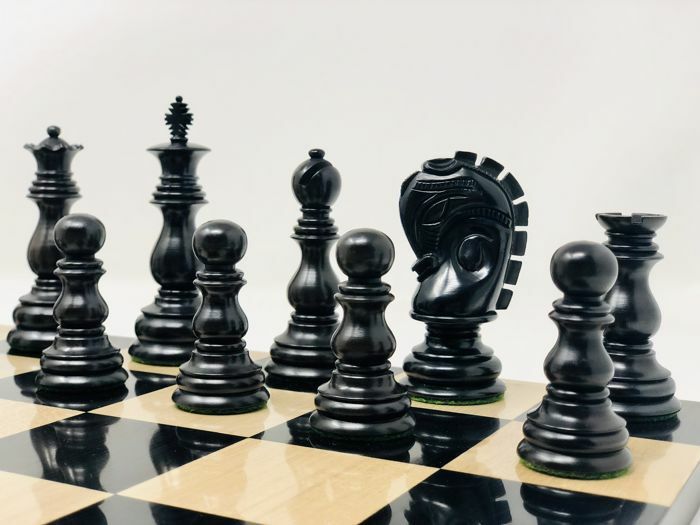 The set is inspired by famous sculptor, painter and French chess player Marcel Duchamp who, together with Pablo Picaso and Heri Matisse, was one of three artists who helped define the revolutionary development of plastic arts at the beginning of the 20th century. 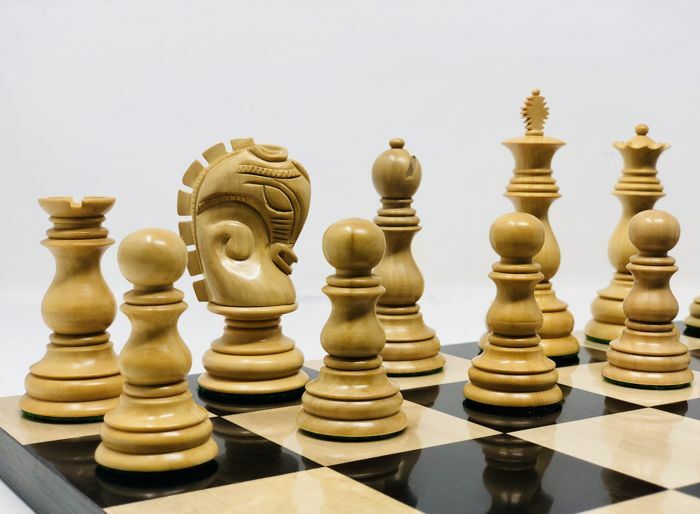 The chess has a singular, very nice horse. 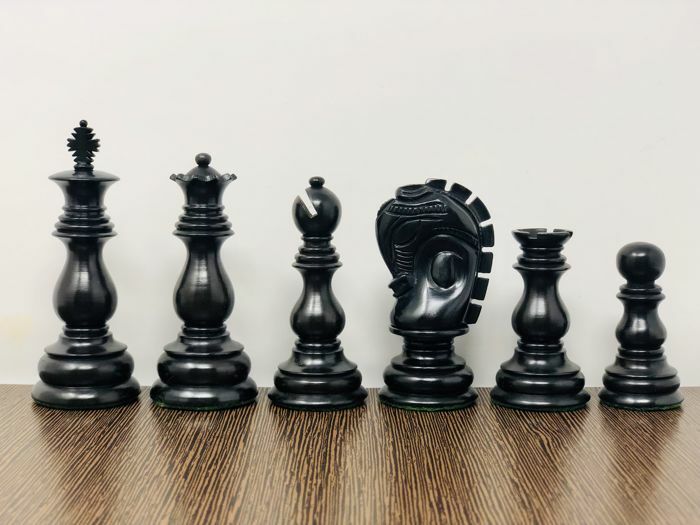 The rest has glass-like forms, classic style of the 20s. 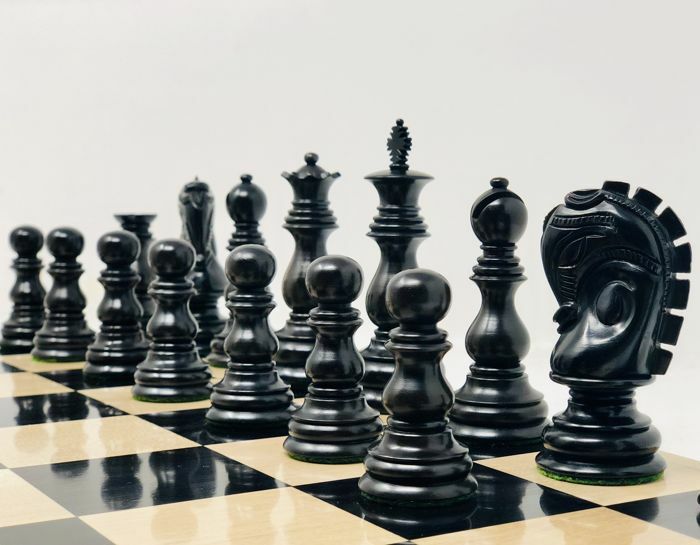 The chess is a tribute to this artist that influenced the art of chess. 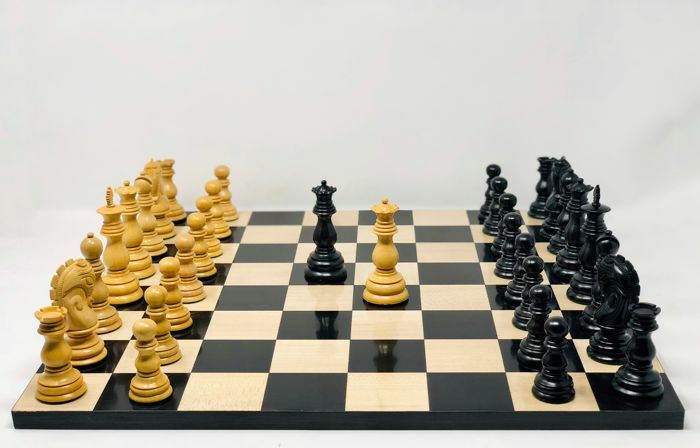 The chessboard is for display and is not included in the lot. Registered shipping and well packed.